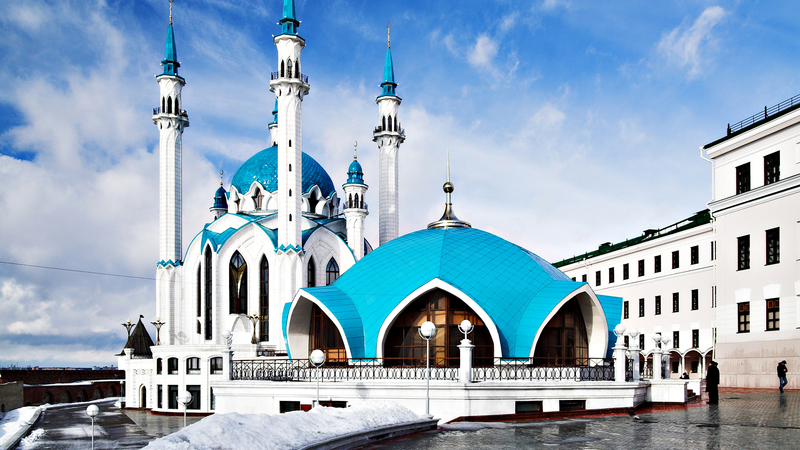 An amazing place in the suburb of Kazan, which are very fond of traveling Kazans and guests. Bathing in the lake year round, mostly in winter and without any preparation. After bathing in the lake in winter, people involuntarily smiling all day, energizing the whole week, they held headaches and absolutely all of the disease. Many have simply can not do without swimming in the lake in winter. The water is considered to have miraculous powers. There was even talk that it contains of an active radon. 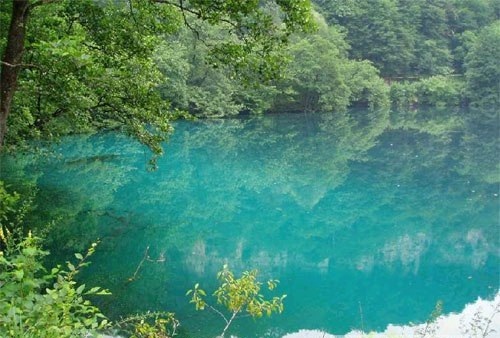 It is believed that the blue lake or lakes, because their unbroken chain — a miracle, that came to us from the Ice Age. They arose as a result of karst faults and in the basic have the ice that retains water temperature constant throughout the year — winter and summer, 4 degrees! 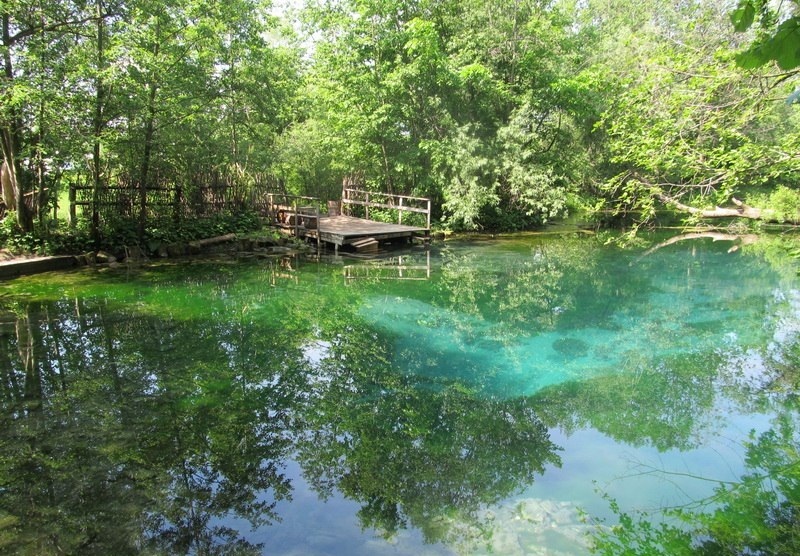 The depth of the lakes from 2 to 17 m or more, and the nature around is amazing. All together make up a single unique complex, which are a bit on the Earth. At the bottom of the lake there are rills. Due to the constant coming of spring water in the lake fantastically good visibility for the freshwater reservoir. The slopes of the coast under water are covered with dense thickets of elodea, which inhabits a huge number of crustaceans, amphipods, and quite a lot of water donkeys and planarians. Crystal clean water, can give you to enjoy panoramic views of underwater life of the lake: cascading down the terraces, ledges, fringed with green bushes Charales forming a sort of thick grass, below the soft limestone rock formed a fantastic slopes at the bottom of the funnel-shaped failures darken. 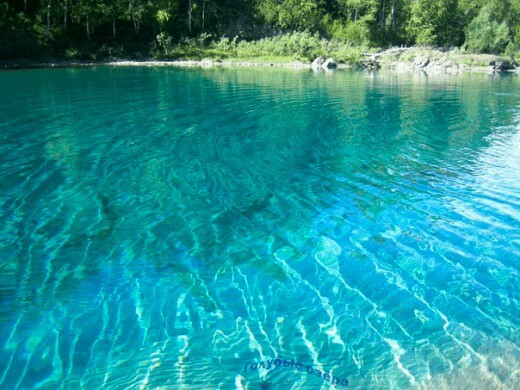 Thanks to a sufficient depth, easy slope to the water and the small size of the lake, as well as exceptional water clarity Blue Lake is also still one of the best places for the training dives in dry suits for divers.